John N. Frank has more than 35 years experience as a business journalist, editor, speaker and book author. A native New Yorker who has spent his adult life in Chicago, he grew up with a love of the theater fostered by his parents. Chicago became the perfect place for him to nurture that love, given the wide range of experimental and local theater companies in the Chicagoland area. So it was inevitable he and his wife, Carolyn Calzavara, would start a theater troupe of their own, In 2013, they staged “New Year’s Eve at Grandma’s House,” Frank’s original one-act play, a personal story for John based on his mother’s side of his extended Italian family. “Talking with My Dad,” also is a personal story for John, who lost his father to heart disease during his (John’s) early adulthood and who himself has struggled against arterial and heart disease in recent years . Frank also will appear in the production. 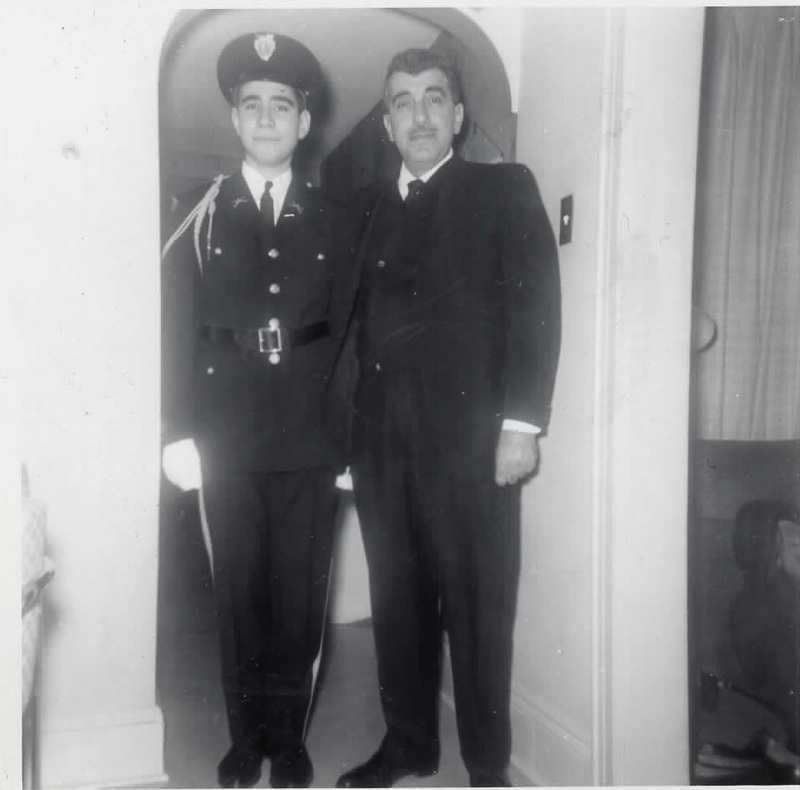 He, as a young high school cadet, and his dad Sal are pictured here in 1968, roughly 18 years before his father’s death. In addition to “New Year’s Eve at Grandma’s House,” and “Talking with Dad,” Frank has two other plays under development, “The Boys in the Basement,” the funny but poignant story of an apartment house of disgruntled, lonely divorced men, and “The Institute,” an autobiographical tale about attending military high school during the turbulent Vietnam War years. In 2012, Frank published his first book, “Always Be Job Hunting,” an autobiographical account of how to stay employed in today’s ferocious job market.